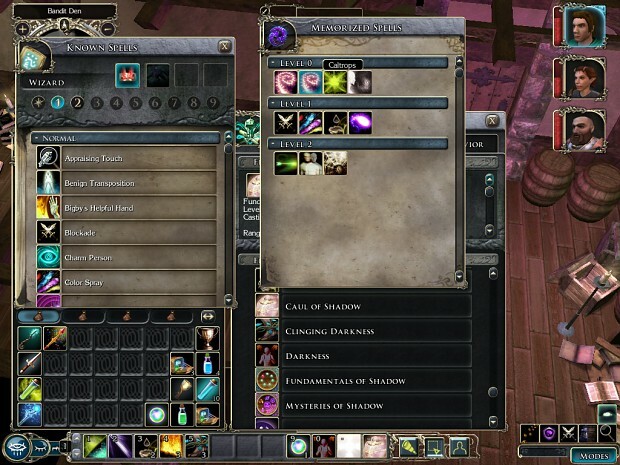 Last week we saw the release of version 2 of Mage Tome, the arcane spellcasting PRC and spell mod for Neverwinter Nights 2. Now that this major release to the mod is out we can begin to look at some of things we are planning for the new year. In the short term we will begin preparations for version 3 of Mage Tome, which will mostly be new PRCs and spells for wizards. We will also broaden the spell selection for bards, druids and warlocks to give them more options, especially with spells that are also used by wizards. We have already received a few bug reports and are looking into fixes for those. We may do a patch for the mod if enough bugs or problems are found, otherwise we will just roll those into version 3. Version 2 saw most of the level 0 and level 1 spells implemented leaving very few potential additions there. But there are many available spells from levels 2-9 left that we can implement. If you have any favourites or requests let us know. The first new feat to be included is Bloodline of Fire, a background feat that grants your character +2 caster level on spells with the fire descriptor. For druids the focus will be on adding more summoning, battlefield control and direct damage spells – making them more like the cross between clerics and druids that they should be. The implementation of the Summon Nature’s Ally line of spells in version 2 was a big step in helping to differentiate druid spellcasting from clerics and we will try to continue that. We have done some initial design work on a number of small mods for Skyrim focusing on different elements of magic that were not explored in the main game. Rather than create a large mod with lots and lots of new spells we will be creating a small number of spells, abilities and items that are tied to a unique master of magic and their interests. The mods will attempt to fit within established lore and be lore friendly explorations of some of the philosophies and types of magic that have been hinted at in the Elder Scroll games but not seriously explored. The first mod is underway and we will release more details on it once the mod is further underway. Work on the system slowed down with all the work that was going into the Mage Tome mod but coding has restarted for our open source system. By mid-year we are looking to do a release for version 0.5 of the system, which will hopefully include the first real character generator app. Keep posted for updates on the crpg system. We have a number of projects that are not very far along that may or may not involve potential partnerships with other game studios. If any of them turn out we will let you know, otherwise we will be mostly continuing with the three projects listed above. If you have any suggestions on projects you’d like us to pursue next or things we should concentrate on please let us know.